Performances • Events taking place between now and early October seek to put focus on climate change, land conservation and respect for nature. | Courtesy of Peter Vordenberg When Women Were Birds. | Courtesy of Peter Vordenberg When Women Were Birds. Courtesy of IndiGo Dance on Land in Northern California. | Courtesy of IndiGo Dance on Land in Northern California. 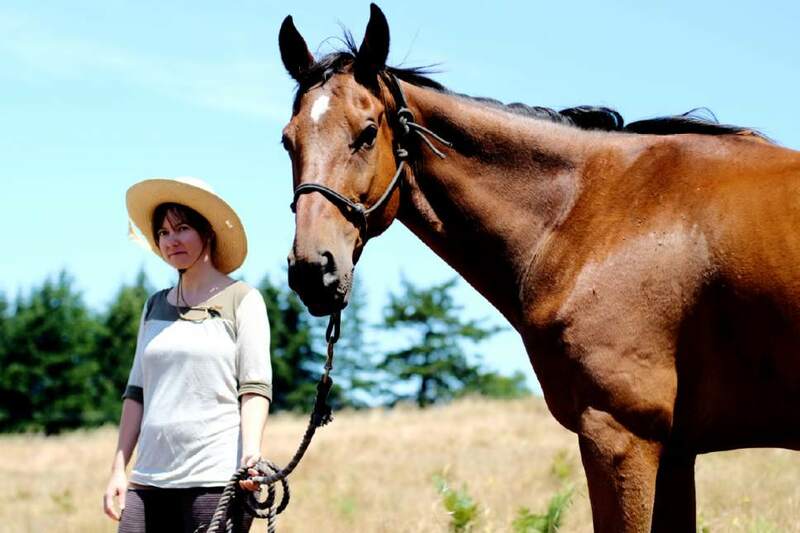 | Courtesy of IndiGo Dance on Land in Northern California. | Courtesy Shinichi Iova-Koga. | Courtesy of IndiGo Dance on Land in Northern California. | Courtesy of IndiGo Dance on Land in Northern California. | Courtesy of Bill Bevis Dana Iova-Koga pictured at Dance on Land in Montana. 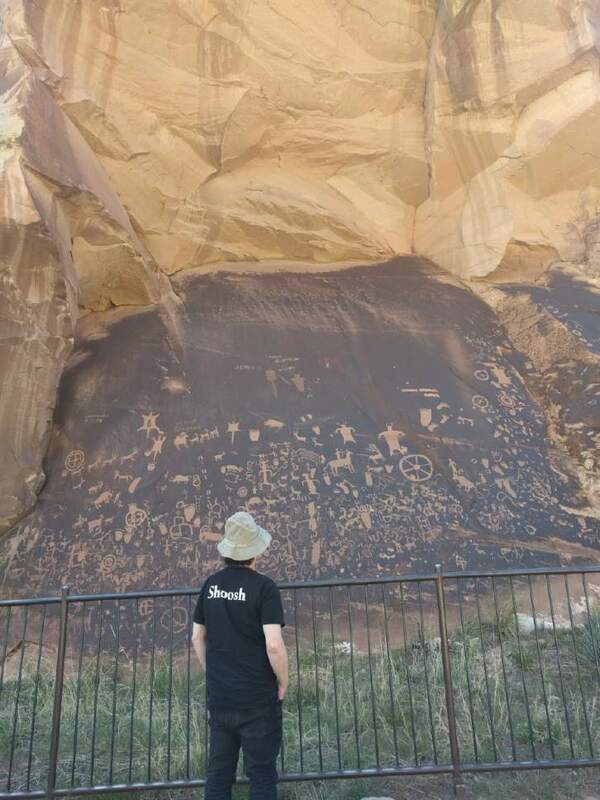 | Courtesy of Lauren Curley Dancers from Repertory Dance Theatre and ZviDance hike to the Procession Panel in Bears Ears Nationa | Courtesy of Efren Corado Garcia Choreographer Zvi Gotheiner looks on to Newspaper Rock in Monticello, UT. 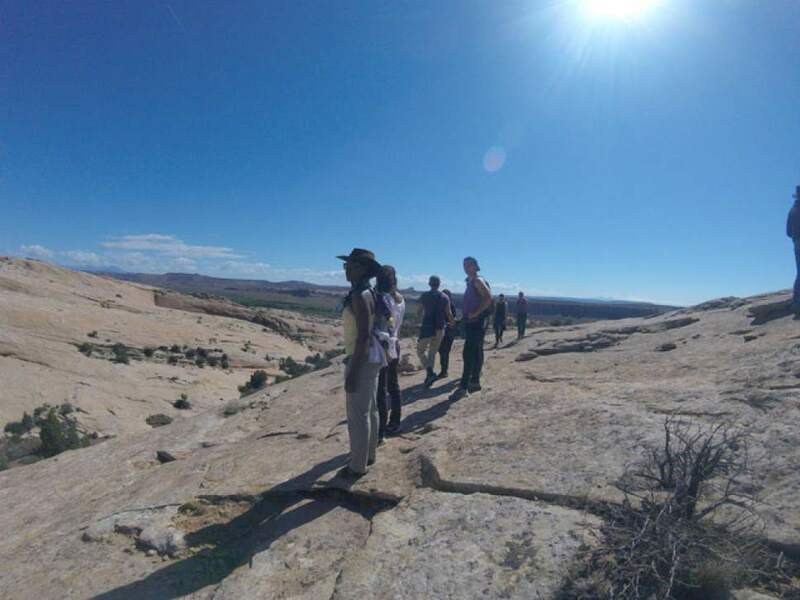 | Courtesy of Justin Bass Dancers from Repertory Dance Theatre and ZviDance look out on the sprawling landscape of Bears Ears Na | Courtesy of Pak Han Shinichi and Dana Iova-Koga of inkBoat in site-specific performance for 95 Rituals. | Courtesy of Justin Bass Repertory Dance Theatre dancer Justin Bass explores Moon House Ruin in Bears Ears National Monument. | Courtesy of Peter Vordenberg When Women Were Birds. | Courtesy of Peter Vordenberg When Women Were Birds. Courtesy of IndiGo Dance on Land in Northern California. | Courtesy of IndiGo Dance on Land in Northern California. | Courtesy of IndiGo Dance on Land in Northern California. | Courtesy Shinichi Iova-Koga. | Courtesy of IndiGo Dance on Land in Northern California. | Courtesy of IndiGo Dance on Land in Northern California. | Courtesy of Bill Bevis Dana Iova-Koga pictured at Dance on Land in Montana. 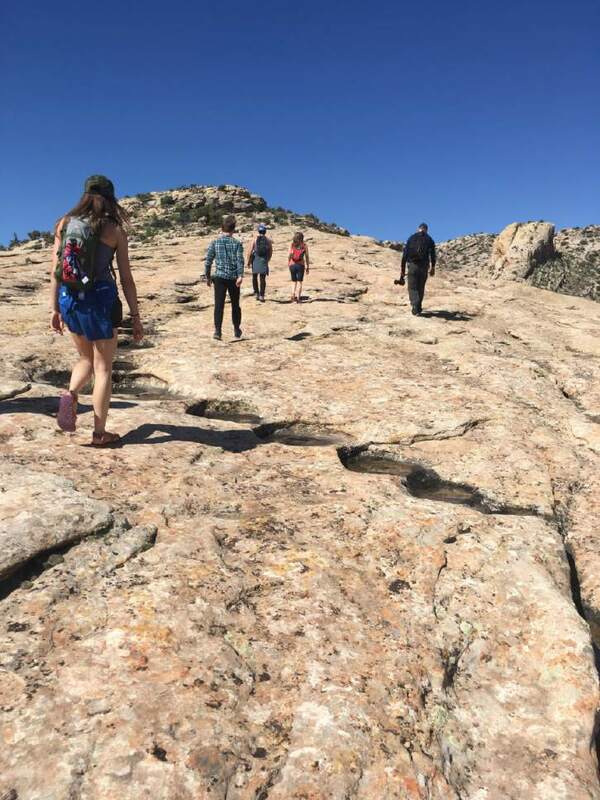 | Courtesy of Lauren Curley Dancers from Repertory Dance Theatre and ZviDance hike to the Procession Panel in Bears Ears National Monument. | Courtesy of Efren Corado Garcia Choreographer Zvi Gotheiner looks on to Newspaper Rock in Monticello, UT. | Courtesy of Justin Bass Dancers from Repertory Dance Theatre and ZviDance look out on the sprawling landscape of Bears Ears National Monument. 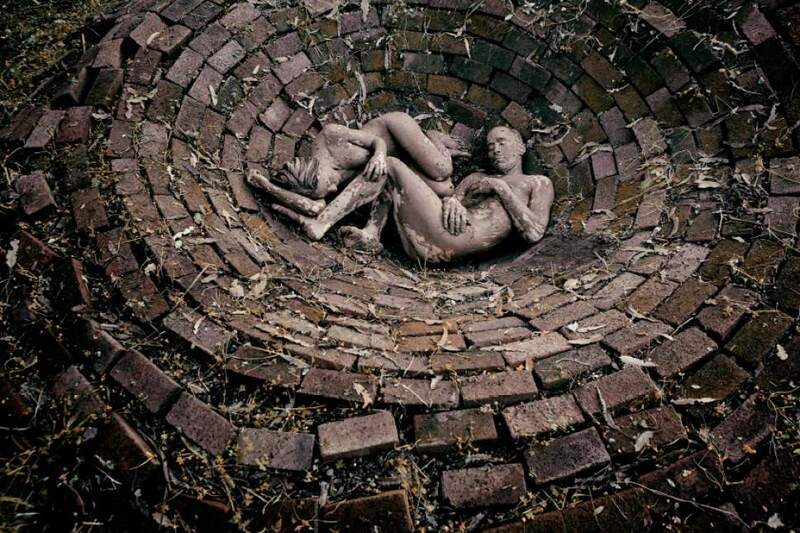 | Courtesy of Pak Han Shinichi and Dana Iova-Koga of inkBoat in site-specific performance for 95 Rituals. 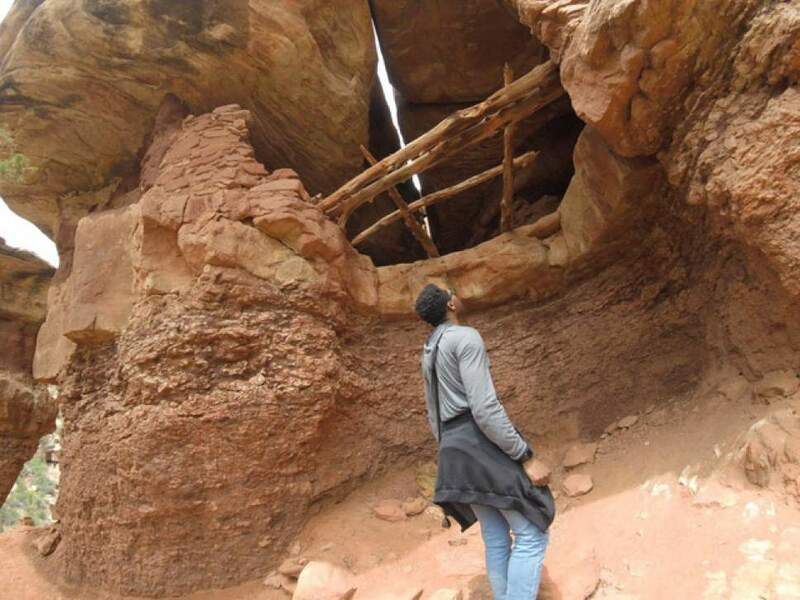 | Courtesy of Justin Bass Repertory Dance Theatre dancer Justin Bass explores Moon House Ruin in Bears Ears National Monument. Throughout history, artistic expression has been a catalyst for political activism  using creativity to bring awareness to social ills and sometimes proposing solutions. This summer, Utah&apos;s dancers are taking steps to bring attention to climate change, land conservation and respect for nature. As part of the nation&apos;s burgeoning environmental arts movement, three Salt Lake City dance projects highlight sustainability issues through innovative aesthetic experiences in Utah&apos;s vast open lands and in urban spaces. Repertory Dance Theatre&apos;s "Dancing the Bears Ears" (premiering in October) is part of a larger initiative, The Sacred Lands/Sacred Water Project, that began in May with a trip to San Juan County, where tensions have risen in recent months over the 1.3 million-acre Bears Ears National Monument. The firestorm over President Donald Trump&apos;s executive order to reduce or eliminate the monument, combined with a federal judge&apos;s ruling regarding Navajo voter rights, has made the half-Navajo, half-white county the subject of national news. 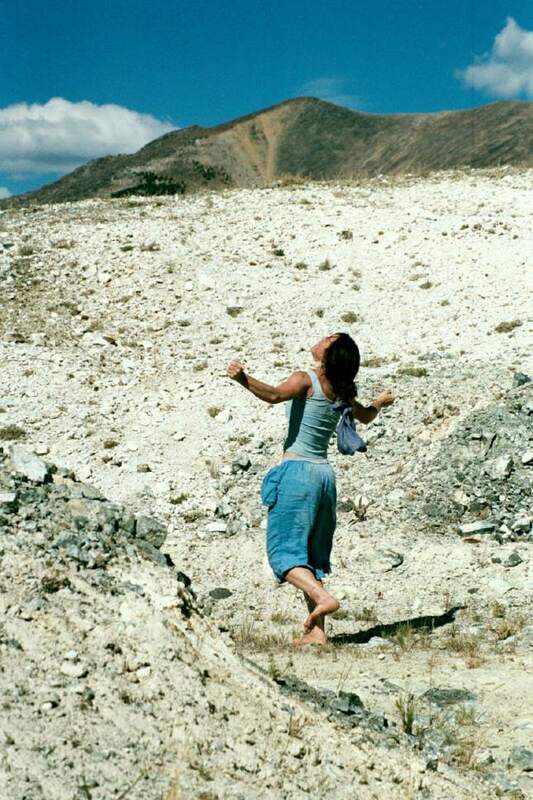 RDT artistic director Linda C. Smith is no stranger to environmental activism, and the company began showing its political stripes 25 years ago with "Erosion," a dance focusing on Utah&apos;s landscape by New York-based choreographer Zvi Gotheiner. Since that time, Smith has dreamed of pairing the two companies  RDT and Gotheiner&apos;s New York company ZviDance  in a site-specific project to increase ecological awareness in Utah. This year, with funding from the National Endowment for the Arts, her dream came true, and members of both companies traveled to Bears Ears to meet with tribal leaders, native dancers, spiritual advisers, storytellers and scientists. In May, they held panel discussions and performances in communities in Bluff and in Salt Lake City. RDT will perform the finished piece at The Rose Wagner Performing Arts Center in October. Although Gotheiner grew up on a kibbutz in Israel and understands cultural clashes, his work is not typically political. Yet he admits "the arts has tremendous power in mobilizing consciousness, and the experience I had in Bluff, learning the history of native peoples&apos; suffering, has affected my artistic process." Smith and her dancers are less subtle. Smith said she "felt the weight of the world on [her] shoulders when starting the work." RDT dancer Ursula Perry added, "Creating work about Bears Ears is not only important, it is vital. Vital to its people, to our land, to our consciousness. Now more than ever, we as artists should use our platform for the things we believe in." Together, RDT and ZviDance hope to deliver a message relatable to audiences in Utah and in New York City. The message: "Respect for the Native American culture … this important landscape … and inspires artists, hikers, families and adventurers for generations to come." "The environment is anywhere people live, play, work and learn  not just pristine wilderness areas preserved for privileged populations," Ivkovich said. "We need to also be advocating for a healthy environment in everyone&apos;s backyards and homes." 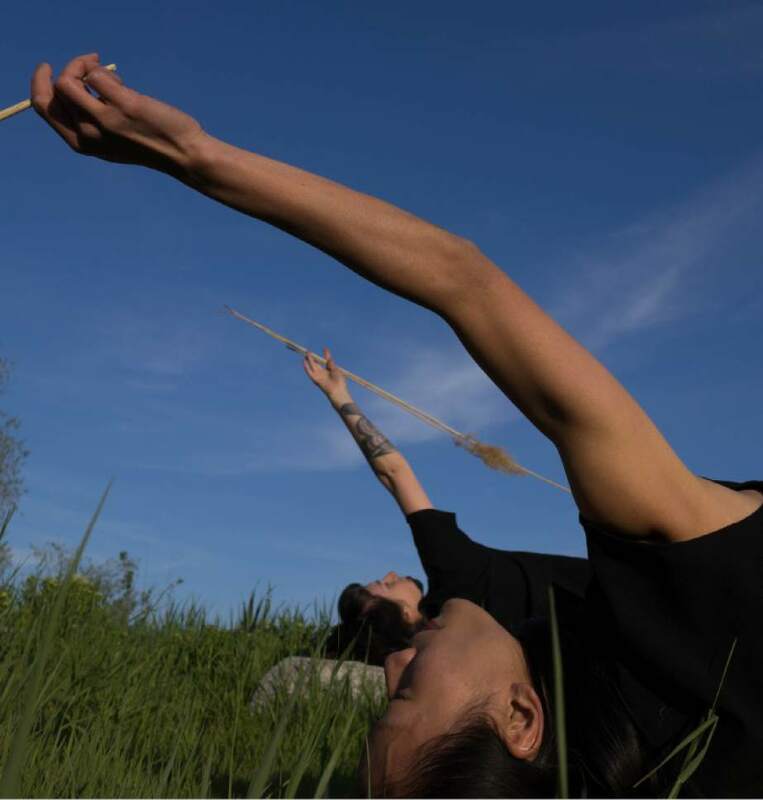 The culminating Summer Series performance in August will be an immersive dance theater piece co-directed by Ivkovich, Alysia Ramos, Ching-I Chang Bigelow and Ashley Anderson. The narrative takes its inspiration from Utah-raised Terry Tempest Williams&apos; 2012 novel "When Women Were Birds," based on her mother&apos;s diaries. Williams was recently appointed writer-in-residence at the Harvard Divinity School and has written 15 books, including last year&apos;s well-received "The Hour of the Land: A Personal Topography of America&apos;s National Parks" and her influential 1991 memoir "Refuge: An Unnatural History of Family and Place." It will be performed at Bend in the River on the Jordan River Parkway Trail. 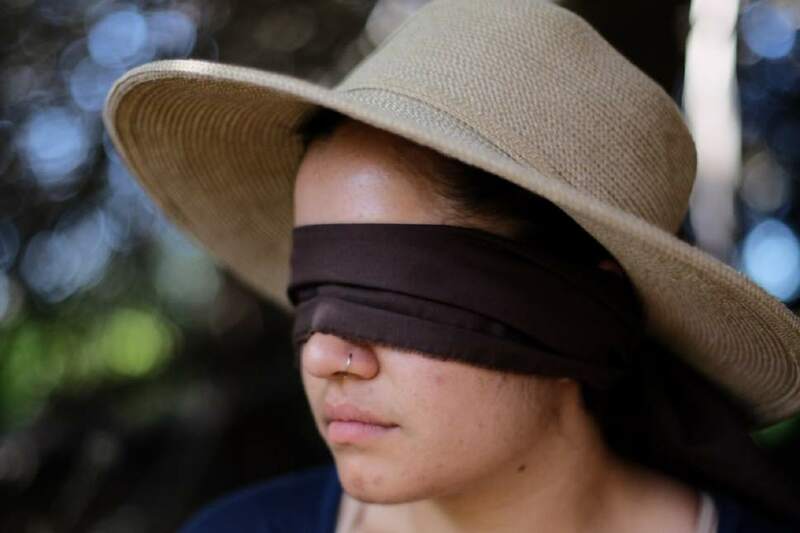 Ivkovich, who lives in one of the city&apos;s west-side neighborhoods and works at the University of Utah&apos;s Sustainability Office and Global Change & Sustainability Center, said she takes the long view on art and sustainability. Ivkovich fosters the belief that the environment is something we are composed of, not something outside us: "There is a constant interchange between us and nature when we are breathing, and dancing heightens awareness of our breath. So when we dance we can&apos;t help but feel part of nature." Salt Dance Fest • A free performance Friday, June 16, at the Marriott Center for Dance on the University of Utah campus concludes the annual Salt Dance Fest. Dance students will perform compositions, improvisations and repertory created during the festival taught by guest artists, including Shinichi and Dana Iova-Koga. The couple came together through a mutual love for connecting the dancing body with nature. Dana graduated from NYU&apos;s Experimental Theater Wing, and Shinichi was the son of a judo champion. 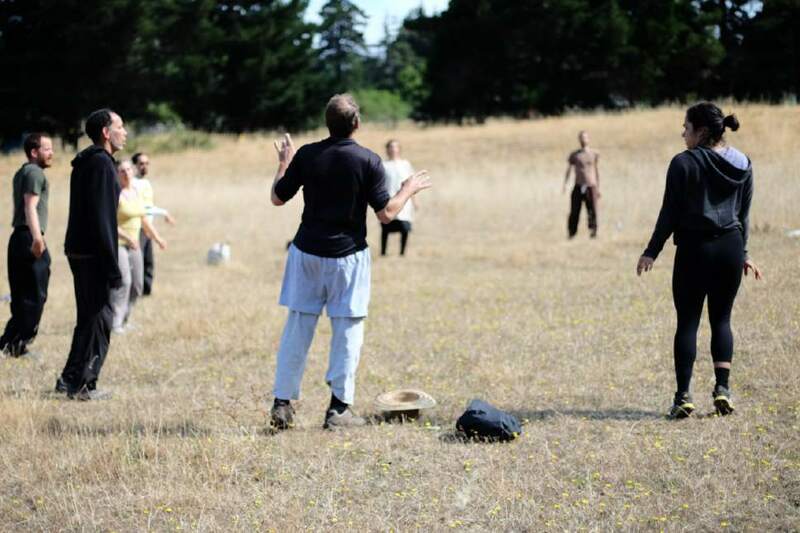 Their careers and stars aligned, and in 2007 they began conducting workshops in the wild nature of Northern California and Vermont called Dance on Land. 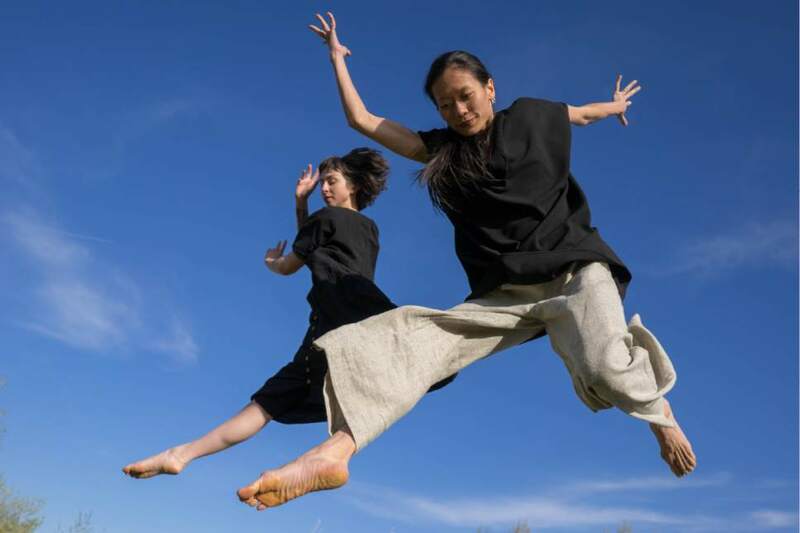 The workshops combine the physical disciplines Aikido kinesthetic response, Qi Gong mindfulness practice, improvisational dance, and physical theater to expand sensorial receptivity. The married couple also founded the San Francisco-based performance company inkBoat in 1998. "Some of my colleagues are overt activists, I am not," he said. "I don&apos;t make performance about a political situation or crisis. Instead, what I do is, in the process of making art is a statement, and it does reflect in the performers&apos; relationship to each other; everyone has voice  connection and communication." He said he believes respect for nature grows from being immersed in it, "so what we might learn about how grass blows in the wind teaches us something about who we are as human beings or dancers." 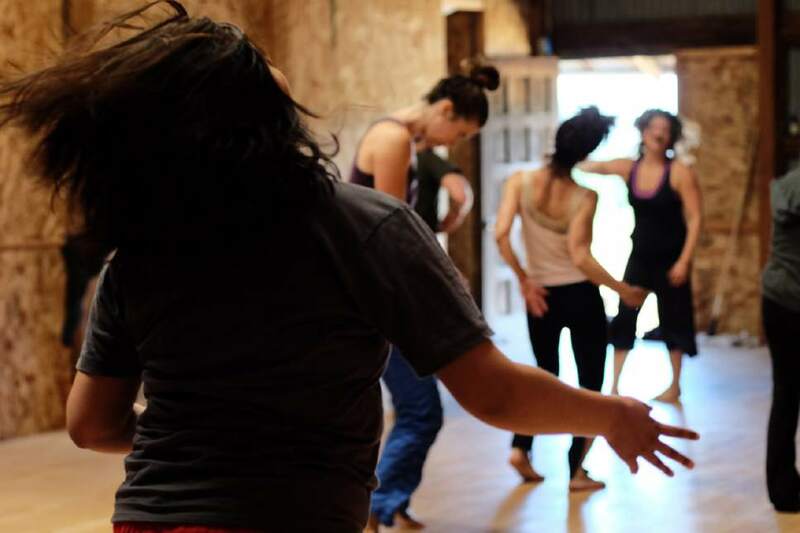 Dance on Land workshops are a communal dancing, cooking, cleaning and socializing experience. 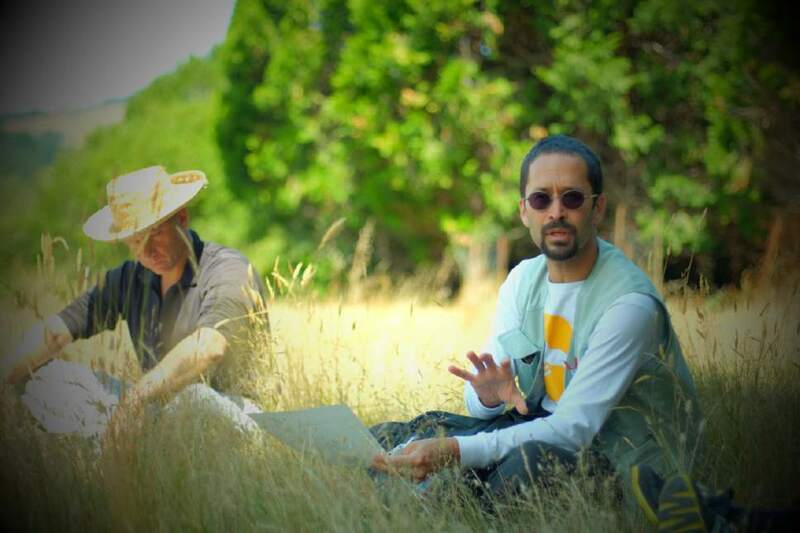 The workshop emulates "the local/global relationship, any system, whether a system of streams or fields, we are fundamentally connected to the processes of everything in the world." Dance students will perform compositions, improvisations and repertory created during the festival taught by guest artists, including Shinichi and Dana Iova-Koga. When • Friday, June 16, 7-9 p.m.
Open improvisation contact jam to celebrate $1.2 million in grants received to restore natural urban waterways. 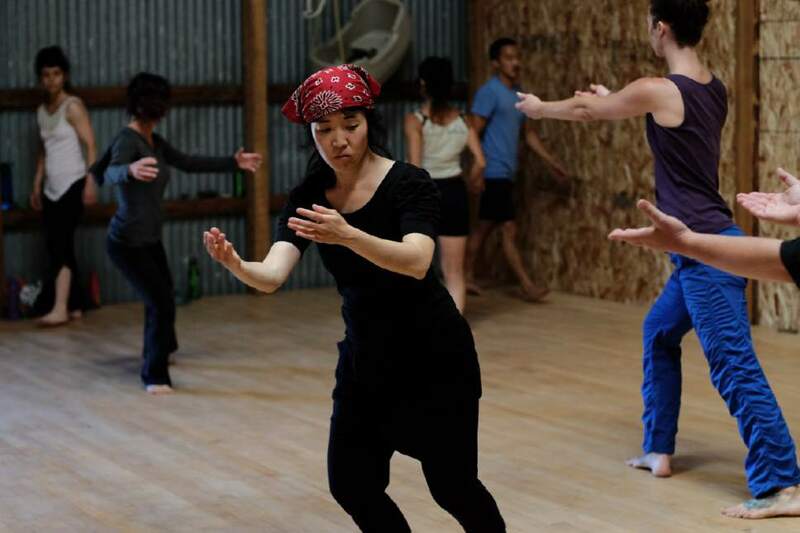 Immersive dance theater inspired by Utah-raised Terry Tempest Williams&apos; 2012 novel. RDT and New York-based ZviDance join forces for a site-specific project designed to increase ecological awareness in Utah. When • Oct. 5-7, 7:30 p.m.